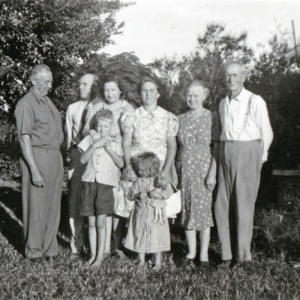 Hoffman Huggins, Percy and Fairalee Poston with Delance Poston, Willa Poston Huggins and daughter Myrna, Minnie and Ellerbe Poston. Probably circa 1941. 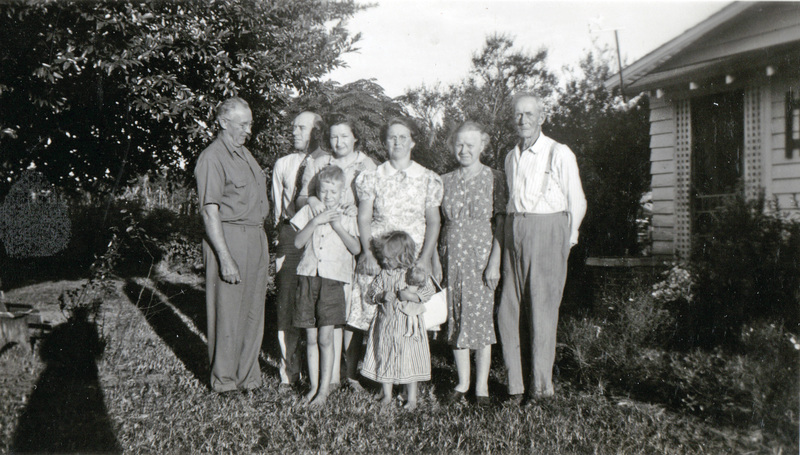 “Percy and Fairalee Poston and family,” Johnsonville SC History, accessed April 19, 2019, https://www.johnsonvilleschistory.org/items/show/487.